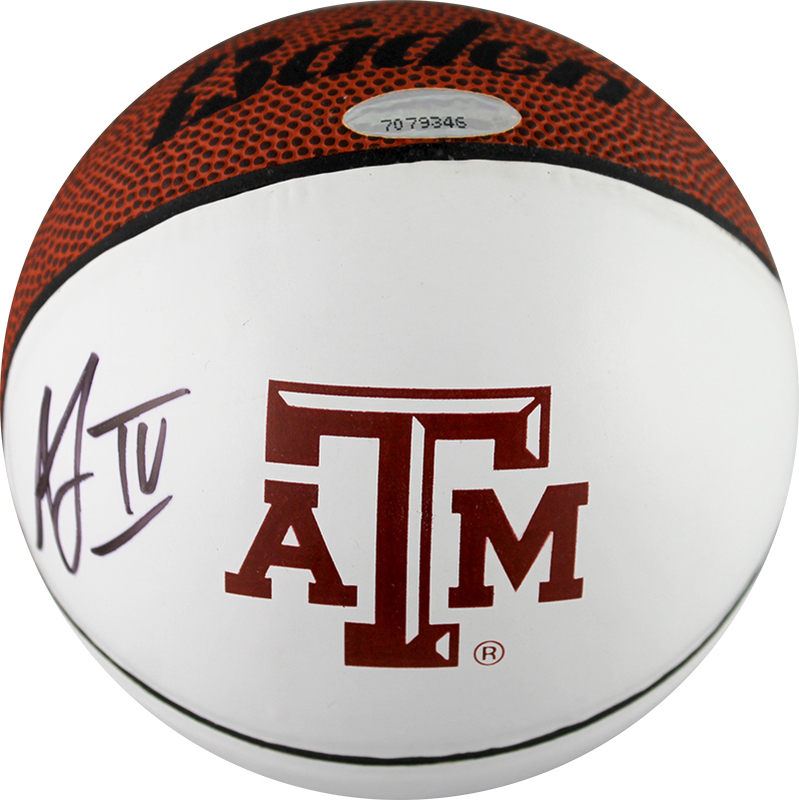 Acie Law personally hand signed these Texas A&M Aggies mini logo basketballs. Each autographed mini basketball includes authentication from TRISTAR, which can be verified online at www.tristarauthentic.com. Acie Law was picked 11th in the 2007 NBA draft after a stellar season at Texas A&M. The first-team All-American led his team as the starting point guard and was considered the best freshman in the Big 12 Conference. Law scored 1,653 points and had 540 assists during his career with the Aggies. Law is now playing overseas in Greece.